Sitstart of the left arete on an isolated boulder in the South-Eastern part of the sector. Access : from the parking lot, follow the Route de la Plaine Verte for 100m, take the blue path on the right (in direction of the red circuit). 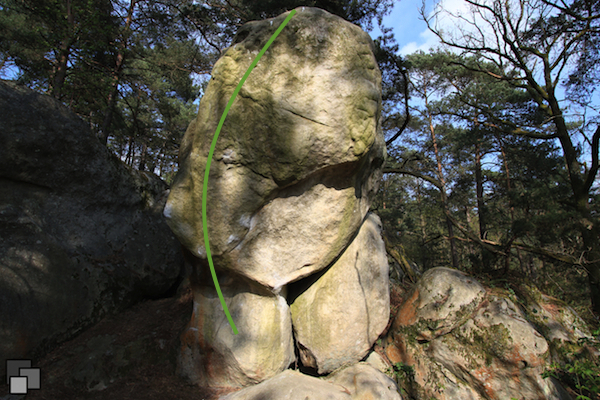 Turn right at a small path after the sectors Vigie and Papillon; the boulder, with a characteristic oval shape, can then be found on the left.